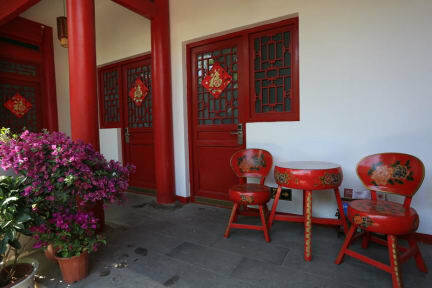 While keeping the old and traditional, some facilities has been added to satisfy the deeds of modern living, such as hostel quality bedding and hygienic washrooms. If you choose to stay in, a sip of Chinese tea on the terrace or in the garden is a good idea. Location including property around the building, attraction, shopping etc.